Rally games tend to both entice and infuriate us. At first sight, it looks very simple, but after few tries and “restart game” selections, many give up and go back to equally annoying Call of Duty “camping mode”. Don’t lie; we know you’re one of those! In this article, we’ll put together a comprehensive list of the best rally games ranging back to the good ole’ days of PS1 and include the latest games. Grab a Monster and let’s hit the road Jack! We might as well start with the best because there really isn’t much debate about this. Colin McRae Rally was released in 1998 on the very first PlayStation. Some say that Colin McRae Rally benefitted from the hype that came along with then revolutionary PlayStation console. Be that as it may, this piece of gem still makes you want to dream about the blue Subaru Impreza! The graphics were at that time impeccable and second to none. The game experience itself was improved by repair stops and never seen (or heard) co-driver instructors. We’re not ashamed to decline a debate on this question because, well, it’s just that good. Case closed. Nothing to see here! If you have visited European gas-stations, especially gas-stations in Finland, you’re very likely to find Sega Championship Rally game in it. Of course it won’t be in a console form, but in actual rally simulation equipment. That’s why the game deserves second place in our listing. It was the first game in 1995 to alter the ground surface (gravel, pavement or dirt) making it a totally different gaming experience – not to mention the huge car selection ranging from the unforgettable Toyota Celica to the rather unattractive but powerful Lancia Delta. There is no shame in being second on our highly competitive list. DIRT franchise is basically an off-spring from Colin McRae Rally. However, it isn’t the legacy that brings DIRT II on our list. 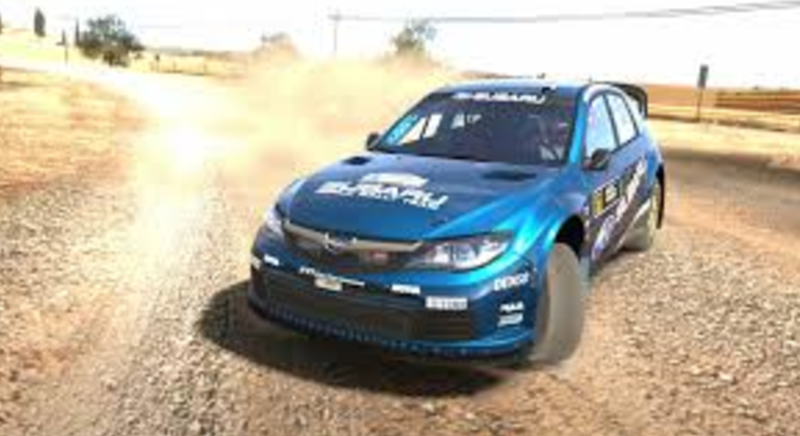 There are numerous high-points to mention because DIRT II is the modern era rally game with phenomenal graphics, an unbelievably realistic gaming experience, and a brand new “career” mode. The most impactful characteristic is the fact that DIRT II is an incredibly difficult game to beat or even to have modest success. 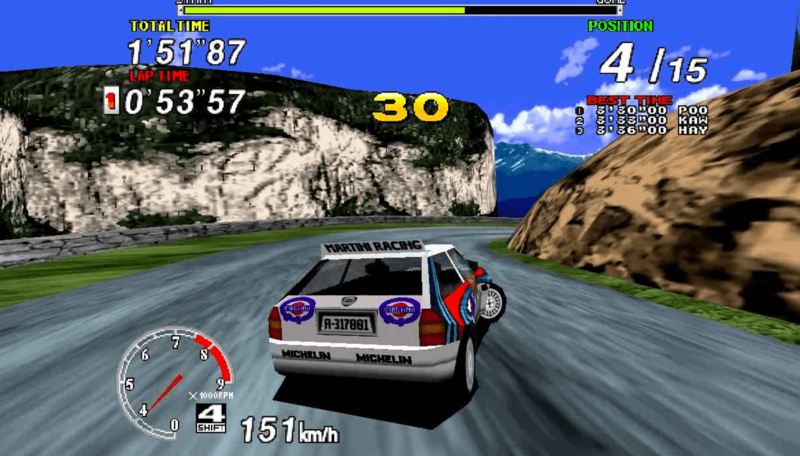 Then again, rally itself is a challenging sport and DIRT II managed to replicate this for all rally gaming friends. Jumping to the modern era, we must give a hat tip to Forza Motorsport 5. Free reign possibilities mixed with Top Gear-like career mode instructors and orgasmic graphics are pretty darn hard to beat. If Colin McRae Rally is the top dog, Forza Motorsport will definitely go down as the best modern rally game. We give extra kudos to the AI-system, which gives players a super tough challenge. Although not a typical rally game, this 1997 PlayStation 1 classic became an instant hit and a nostalgic piece of art. SCEE Internal Development Team developed and produced this game, which was also included as a bonus game for new PS1 buyers. No wonder it became such a hit alongside Crash Bandicoot! Players can only choose from different coloured Porsche Boxters, but this lack of choice is supplemented with trash-talking between the drivers. What if we could combine all these games to one comprehensive rally game package? What would that look like? 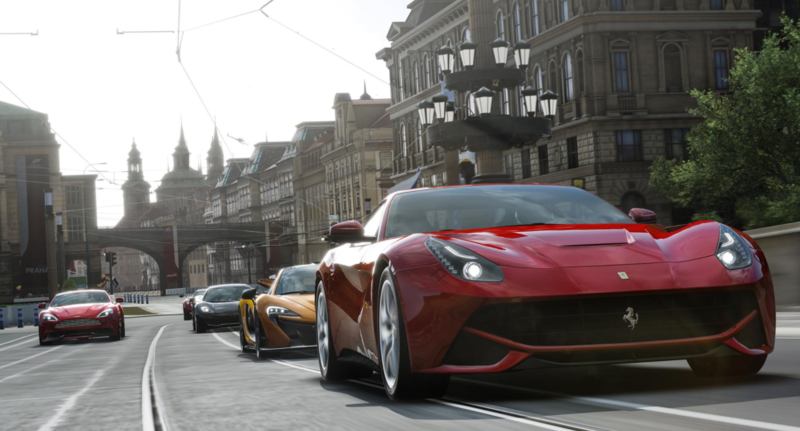 In all honesty, we already have an answer: Forza 6, which will be released in 2016. The game surely has lot to live up to. If it has a blue Subaru Impreza RS 1999, we’re sold!